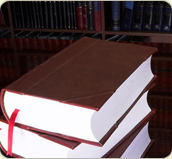 International Law Office is an experienced and professional firm of lawyers. We offer a range of legal services for foreign companies and individuals working in Thailand. We serve a diverse client base with a wide range of requirements. Our business is owned and managed by both Thais and Westerners, enabling us to bring reality, pragmatism as well as a solution to problems brought before us. We regularly negotiate contracts, settle disputes and act as intermediaries in matters concerning our clients and the Thai authorities. Updates - We regularly receive updates and changes to the law, this we display on our news page.